While touring Iceland, I was notified that my Microsoft MVP status was renewed. 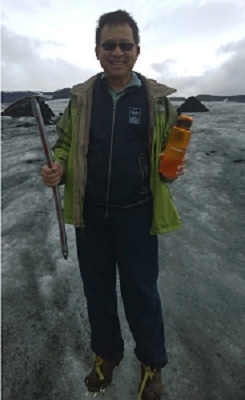 Here I am enjoying a hike on the beautiful Sólheimajökull Glacier with my Microsoft MVP jacket and Microsoft water bottle filled with glacial melt. What a great experience and beautiful country! If you like the outdoors and amazing geology, I highly recommend a visit. We are delighted to announce the availability of Total Access Analyzer for Microsoft Access 2013. Total Access Analyzer is the most popular Microsoft Access add-in of all time. The Access 2013 version is our tenth major release since it's original debut in 1993 as our first Microsoft Access product. We've added many new features to make it more useful than ever. We've also released an update of Total Access Admin. In conjunction with the 2013 release, we've updated the 2003 version. 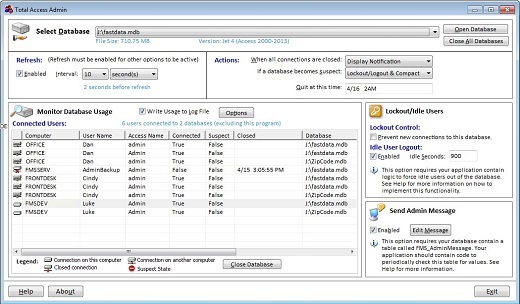 The 2003 version lets you monitor the user activity for your Access MDB databases without requiring the installation of Access 2007 or later to support ACCDB database formats. The new version includes the ability to maintain a list of computer names to more friendly user names. "This tool is unique in its ability to document every aspect of my applications; my favorite feature is the ability to identify unused objects within the database. This feature allows me to identify and remove remnants from previous iterations of each application and reduce application size and complexity." Thanks Dale! Here are more Total Access Analyzer Awards and Reviews! With the release of Total Access Admin 2013, we've also updated Total Access Admin 2003 to includes the new features. Total Access Admin 2003 supports the MDB database formats but not the ACCDB format, which allows it to be installed in environments where Access 2007 or later is not installed. Read our New Features page for details. Download the fully-functional Free Trial of the 2003 or 2013 versions to see how helpful Total Access Admin can be for you. Total Access Statistics is our data analysis product for Microsoft Access that extends the power of Access queries. It performs advanced numerical analysis on your tables to generate statistical values such as correlations, percentiles, t-Tests, regressions, ANOVA, crosstabs, Chi-Square, cash flow analysis, moving average, rankings, data transpose, and much more. This is caused by invalid or corrupt data in your table -- data that is beyond the normal bounds of what Access should allow in the field type. It is often related to data from a linked data source (non-Access) or data imported from another source. Regardless, Access does not consider it an error until Total Access Statistics tries to read the data. It's easily addressed once you know which record and field is causing the problem. 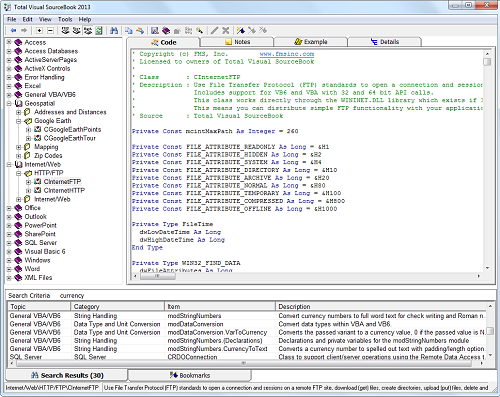 We've updated our FAQ to provide some VBA module code to diagnose your data and a more detailed explanation: Total Access Statistics FAQ. Total Visual Agent is a system administrator program that lets you schedule Microsoft Access chores such as database compacts, backups, data extracts, running macros, collecting database statistics, and much more. Manage databases across your network and schedule events to occur every few minutes, hourly, daily, weekly, monthly, or just one time. It turns out that the problem occurs if Access 2013 was installed directly from Office365 rather than from a disk or MSDN download. Fortunately, there's a simple and free download from Microsoft that fixes this issue. Read our updated Total Visual Agent FAQ for more details on resolving this issue. We've updated our Microsoft Access version history page with some recent updates including May, June and July updates for MS Access 2013. They aren't as significant as service pack releases, but address some issues that could affect you. FMS friend, Garry Robinson from Australia, has acquired the Microsoft Access collection of Smart Access articles. Smart Access was a technical journal for Microsoft Access developers from 1996-2006. Hundreds of the articles are available for FREE on a website he created on Microsoft Azure. Improve your knowledge and Microsoft Access skills with this collection of resources written by some of the world's leading Access experts including several from FMS developers. Thanks Garry!